Cienté are active supporters of several charities. Hayley Welling is demonstrating a workshop on long hair at the Steven Goldsworthy Salon in Bristol in October - good luck! 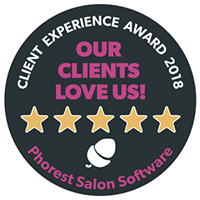 Joshua Galvin’s Preferred Training Salon scheme was delighted to award it’s first certified salon to Cienté, Berkhamsted. Another successful year for Cienté . GOING against the general trend proved a winning move for young stylist, Sam Langford from Ciente hair salon in Berkhamsted. The hottest up-and-coming hairdresser of the year has been named by Berkhamsted salon Cienté. Hair Ideas is for women aged 18+ who are after a quick, snappy hair magazine bursting with ideas and tips, all in a handy pocket size.